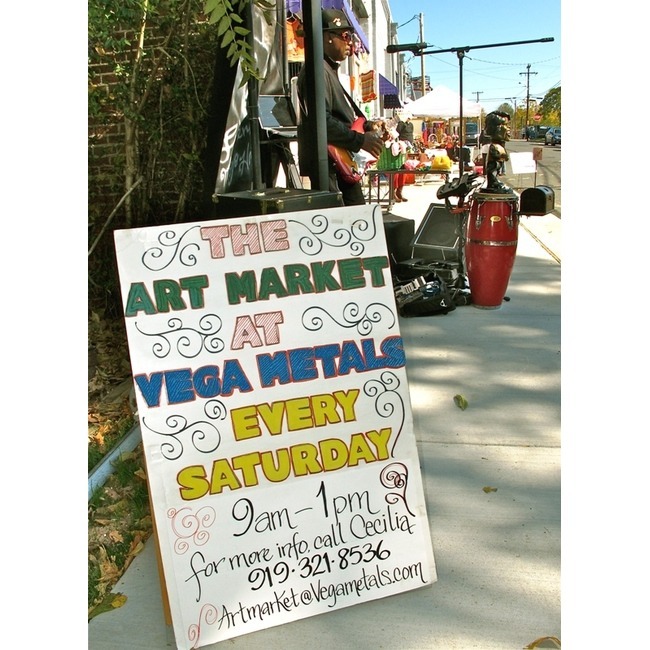 The Art Market at Vega Metals is a Saturday morning outdoor market showcasing some of Durham NC's most creative and talented artists. There are art and craft vendors, food trucks, and musicians creating a festive family oriented atmosphere. Located at Vega Metals at 214 Hunt Street between the Durham YMCA and Durham Central Park. Hours are 9 to 1 on Saturdays. Winter Hours are 10 to noon, Saturday mornings, December through March. What kind of art will I find? All kinds! The Art Market showcases a variety of artwork including jewelry, woodwork, metalwork, paintings, home goods, fabric arts and apparel, etc. 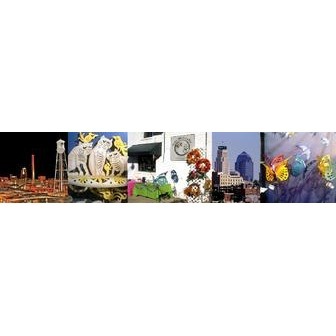 The Art Market sponsors and participates in special events in our community. Check back here for news and details! The Art Market is seeking new artists in all media. The Art Market can give you the exposure you're looking for in a fun and supportive environment. Youth artists are strongly encouraged to apply. The Art Market also welcomes licensed food vendors, musicians, entertainers, and community organizations looking for outreach opportunities. You must be approved to attend (no drop-ins! ).